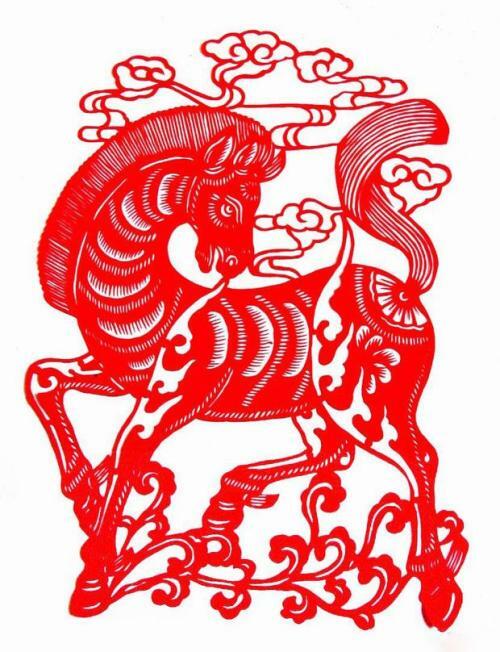 The Year of Horse will begin on 31st Jan 2014 and will bring with celebrations of the Chinese New Year. According to Chinese Zodiac, Horse is one of Chinese favourite animals. Horse provides a good and quick transportation for people before automobiles. Horse can give people a ride to their destination. Therefore, horse is not only a symbol of travelling, but also a sign of speedy success. 马到成功, 金蛇狂舞辞旧岁, 骏马奔腾迎新春, 一马当先, 万马奔腾, 气势如鸿, 马年行大运, 马年发大财, 马首领头, 大红大紫, 大富大贵, 马年吉祥. 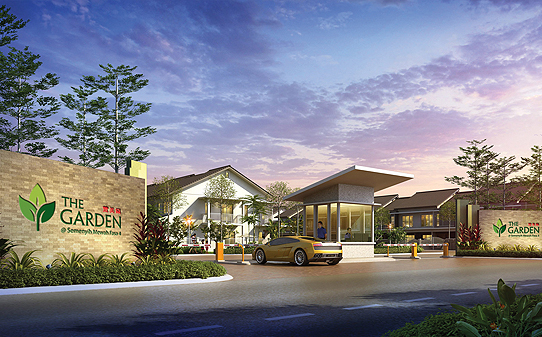 It is interesting that the newly launched “The Garden @ Semenyih Mewah 4” is very much look-alike to our PP8A grand entrance especially the guard-house. G&G stutus, guardhouse, motorized boom gate, plus 2 years free maintenance fees all taken care by developer. 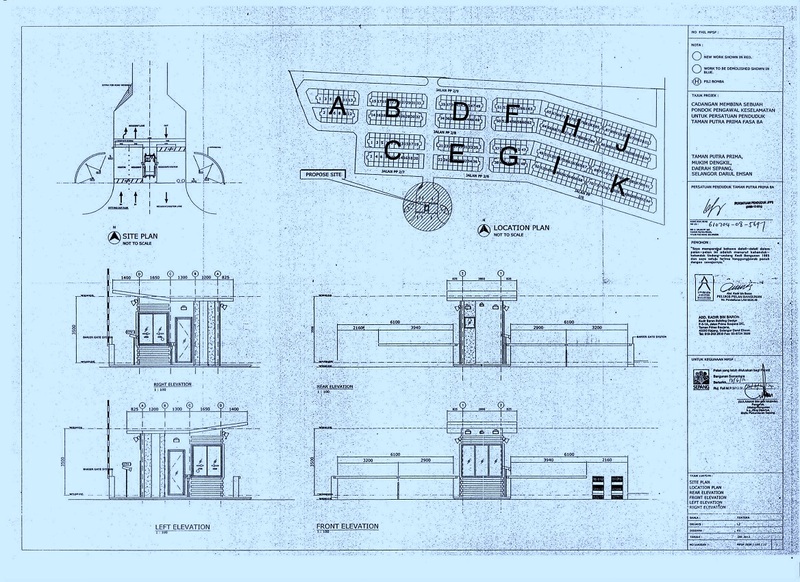 Nevertheless, it is worthwhile to notice that the sales brochure below is vividly stamped with a Gated & Guarded Community printed decal and illustrated with 4 motorized boom gates in place, not just mere quietly or verbally indicated by some less committed competitor through our past experience. For those unfamiliar with us, we have been through all these alone, we know the nightmare, so do our neighbour 8B and still arguing over the sharing of playground and demolition of perimeter fencing from the jabatan perancangan of MPSepang, the 8b guard-house complete approval still in question, and most disheartening our developer is staying off from the dispute or mess created by them. I hope in future any developer who wish to sell their products as gated and guarded scheme please complete and put everything in place plus 2 years prepaid or free maintenance fees before hand over to the poorly organised inexperience RA. It is an unethical marketing practice to lure them as G&G, the fact that it is so difficult to get enough volunteers or purchasers to do all these. Many ignorant residents or new born RAs do not know about the running of G&G until they caught and stuck into the process. 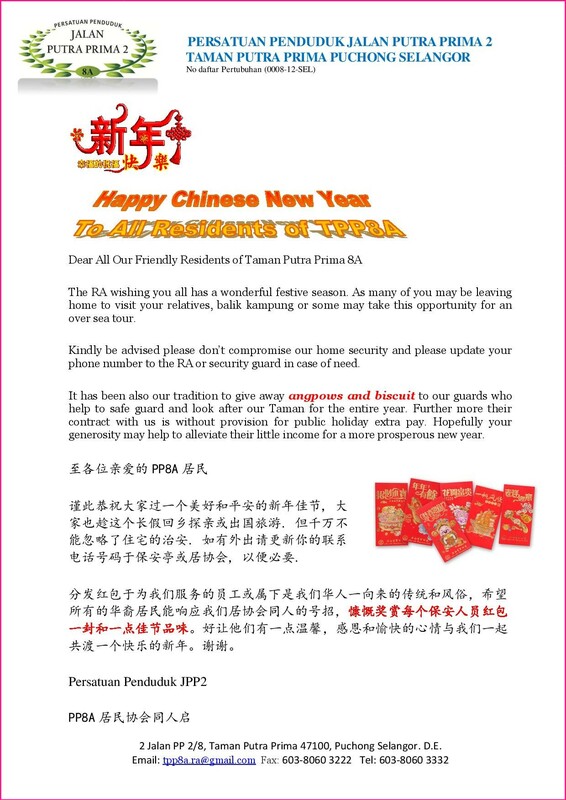 Kindly let the purchasers beware ( Caveat emptor) , no more half-cooked potato or conjoined twin ( 连体双胞胎) please. (Disediakan di dalam satu pelan serta dinyatakan dengan jelas kawasan liputan dan kedudukan cadangan pembinaan pondok pengawal serta disahkan dan ditandatangai oleh Pemilik (Pengerusi Persatuan Penduduk) dan Arkitek/Jurutera di setiap pelan. Pelan Skim Komuniti Berpagar & Berpengawal oleh Persatuan Penduduk Fasa 8A telah diluluskan oleh Pihak majlis jauh lebih awal daripada syarat yang dikenalkan oleh Jabatan Perancangan di surat kelulusan Borang C (1) pada 4/9/2013. 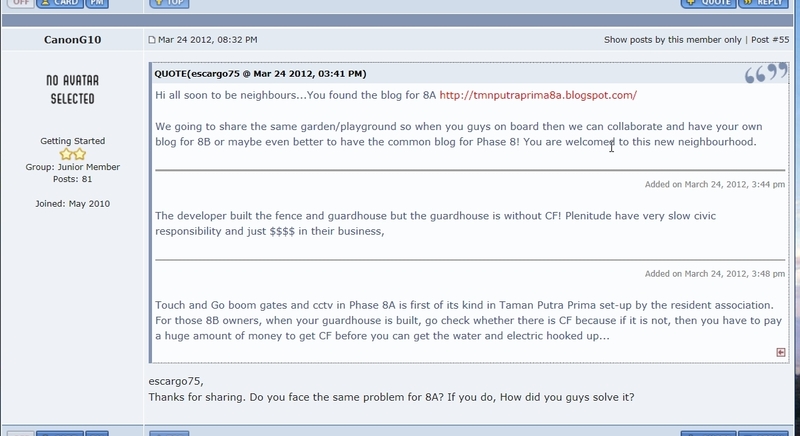 Below are some documented evidences from what has been transpired over the last 2 years on forum.lowyat.net by some concerned purchasers over the doubtful or disputable divider fencing and playground. Thus creating a huge controversy on both 8A & 8B residents leaving a fuss over the administrability of both G&G community schemes. The Majlis harsh directives further aggravated the ambiguity or dispute over the security boundary issue. The Temporary Occupation License (TOL) issued by land office and Building Permit issued by Majlis Perbandaran Sepang for PP8A guard-house under our approved Gated & Guarded Community Scheme have been renewed for year 2014. The renewal is necessarily to ensure that our G&G scheme is fully legalized and in continuity for the perpetual peace and security of our community. However there are still some people who are trying hard to destroy our perimeter fencing and undermine our security establishment. According to Petaling Jaya City Council (MBPJ) public relations officer Zainun Zakaria, only 18 residents associations (RAs) of the 181 or less than 10% have applied to erect guard booths. “It’s estimated that only 15 out of 146 gated communities in Klang comply with current state laws to regulate them.The majority have been set up illegally.” said MPK councillor Lim Lip Suan. “If the structures are built without permission from the local government, they are considered illegal and can be asked to remove.” Teng Chang Khim state executive councillor in charge of local governments.